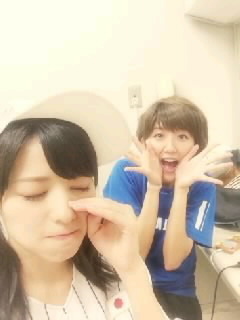 Maimi goes head-to-head with Berryz Koubou’s Tokunaga Chinami in her August 20th update “Chii-san ♪( ´▽｀)“. Full translation below. we wore a panel with our secret word written on it on our head! Posted on August 22, 2014, in Blog, Translations and tagged Yajima Maimi. Bookmark the permalink. Leave a comment.